John Gustafson and Robert Babich pose. 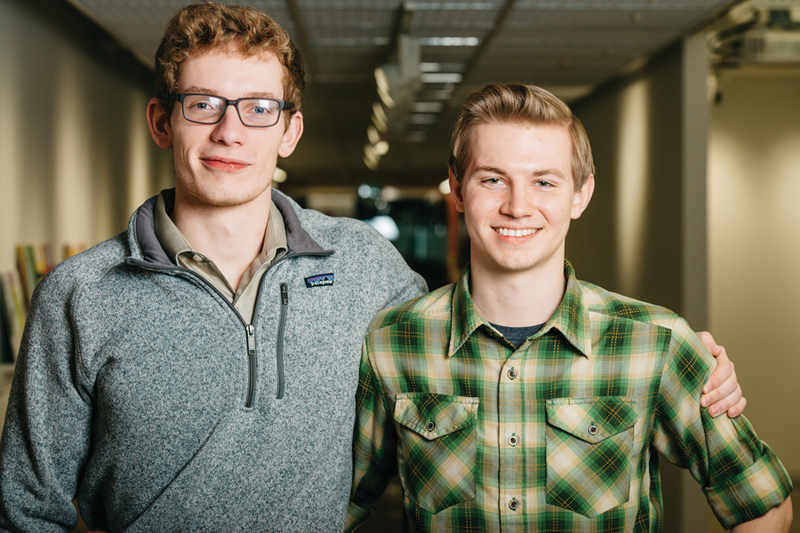 The Weinberg sophomore and Communication junior founded Free Flow, a bike-rental company. While studying abroad in Berlin in summer 2017, Weinberg sophomore John Gustafson struggled to find bicycle availability. Despite knowing that biking was the most efficient mode of transportation in the city, Gustafson said he found daily bike rentals targeted at tourists to be financially unsustainable. Though he eventually purchased a bike, he said he had to spend a lot of money both up front and throughout the summer — from purchasing a lock to relying on his “broken German” to get a tire fixed. When he sold it at the end of the summer, he could not find a buyer that would match the price he paid for it. Gustafson shared these frustrations with Robert Babich, a Communication junior also studying in Berlin. Babich, inspired by the explosion of the bike-sharing industry in the U.S., had an idea. Upon their return, Babich said the pair created a direct rental company, in which they rented out 20 bikes to students from Northwestern, Loyola University and DePaul University. However, Babich said this service — essentially a “bicycle library” — faced problems with maintenance, location and volunteer support. In January 2018, Babich said they refined their business model and began operating out of The Garage. Today, their company exists as Free Flow. An April 13 University news release said the company matches bikes with students looking to rent, and is particularly accessible for Pell Grant-eligible or low-income students, or international fellows spending limited time on campus. “Their mission is to provide an effective and affordable service on campus for students so they can get the rentals they need without the commitment, liability, and cost of owning a bike,” the release said. Babich said the company establishes rental programs with bike shops and then provides support services, including managing the logistics of the operation, running a website for customers to rent bikes and providing security and protection. With these services, Babich said the company makes it “easier and cheaper” for customers to rent bikes while ensuring that bike shops can rent profitably. Free Flow’s use of technology also contributes to its business model, according to the release. The company employs smart locks to reduce burglary and collects anonymous location data to track their bikes. Ultimately, Gustafson said Free Flow aims to ease Northwestern students’ transportation woes in the same way a bike made his time in Berlin more efficient.